Mary, Queen Of Scots, was born in Linlithgow Palace, Scotland, on the 7 of December 1542. She was the only daughter of King James V of Scotland, and his French wife, Mary of Guise. She is said to have been christened in the Parish Church of St. Michael, near the Palace. Her father died only days after her birth, and the week old Mary became Queen of Scotland on the 14 of December 1542. She was crowned on the 9 of September the following year at Stirling. Mary was related to the Tudors. Her grandmother was Margaret Tudor, Henry VIII's older sister. Margaret Tudor had married King James V of Scotland, and her son was Mary's father, James V. Henry VIII was thus her great Uncle, and she and Elizabeth were cousins. Henry VIII wished to have baby Mary as a future bride for his infant son, Edward, and in 1544, his forces invaded Scotland in an attempt to force this matter, but he failed. Mary was sent to France to marry the Dauphin, Francis, the eldest son of the king of France, later Francis II. Her mother, Mary of Guise, acted as regent in Scotland. In 1559, the King of France was killed in a jousting accident, and at only seventeen years of age, Mary became Queen of France. 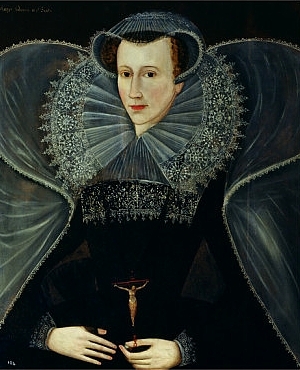 This alarmed Elizabeth, who had only just become Queen herself, as she and her government feared that the French would now try and claim the English throne as well. The French were simply not in a position to do this, however. Mary of Guise's position in Scotland was weak, and she was fighting for survival in a country that was now Protestant. The French could not contemplate attacking England when French rule in the country via Mary and her French mother was so fragile. For this reason, Elizabeth's ministers urged her to aid the Scots against their Catholic government. Elizabeth was reluctant to aid rebels, but in the name of self preservation, agreed to some aid. English involvement was rather disastrous, however, with the English forces suffering humiliating defeat. 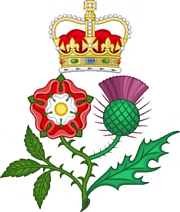 William Cecil was sent to Scotland to negotiate peace with the Scots, and he played a prominent part in drawing up a treaty with the Scottish government, which guaranteed peace between the two realms. The Treaty of Edinburgh was never ratified by Mary, however, as she refused to relinquish her claim to the English throne that the English requested. Mary was always seen as a considerable threat to Elizabeth. 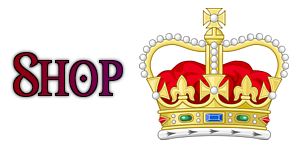 Many Catholics did not recognize Elizabeth as the true Queen of the realm. 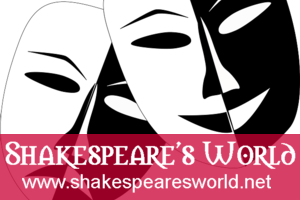 They did not recognize the marriage of her mother, Anne Boleyn, to her father, and so believed that she was illegitimate. Illegitimate children were not supposed to become kings or queens. 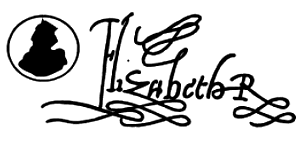 As well as this, Elizabeth was also a Protestant, but Mary a Catholic. For many years Catholics plotted to depose and kill Elizabeth in order to put Mary on her throne. Mary herself did not recognize Elizabeth as the true Queen, and believed that she herself was the rightful Queen of England. Sometimes she even referred to herself as such. The relationship between Mary and Elizabeth was always very difficult. As mutual queens and cousins they tried to keep up a pretense of friendship, but in reality they did not like each other very much. Perhaps because she was nine years older than Mary, Elizabeth always treated Mary with care, and was remarkably tolerant of her less than respectful cousin. In films and novels, Elizabeth is often made out to have been very cruel to Mary, but this is not really true. There is a tendency for people to side with one Queen over the other, but it is better to treat them both as victims of the circumstances in which they found themselves.